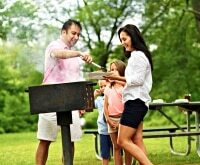 If you’re in the market for a new grill, you can easily get overwhelmed with the seemingly endless options. To narrow down your search, we’ve created a grill buying guide to steer you in the right direction. 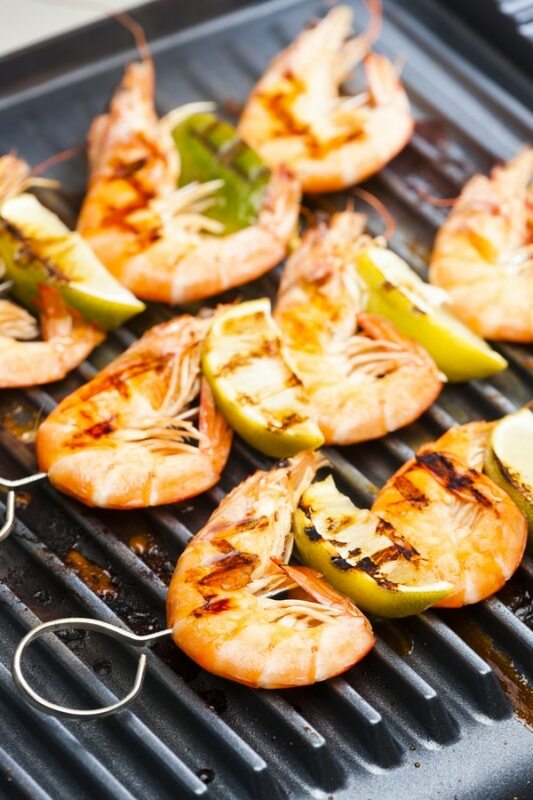 From grill buying basics to how to finagle the best price when you’re ready to buy, here’s everything you need to know when you go grill shopping! Already know what size grill you need and which price is right? 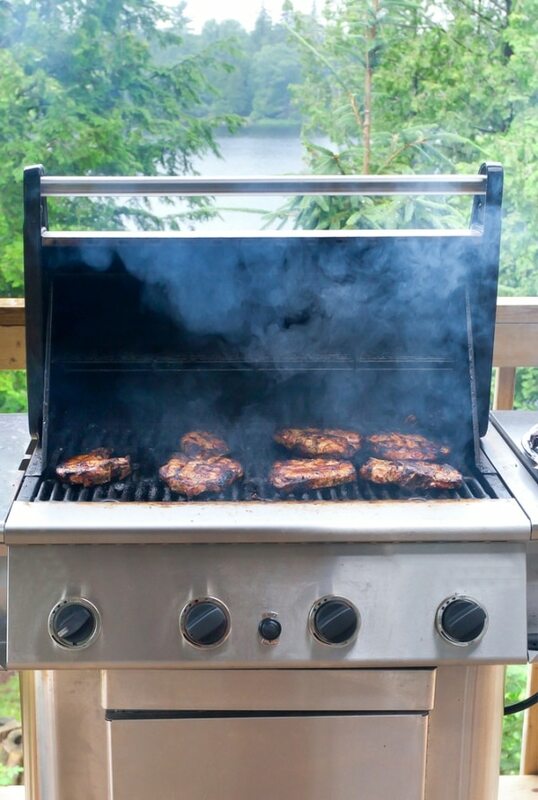 Skip ahead to our guides on charcoal vs. gas vs. electric grills! Need more grilled goodness? 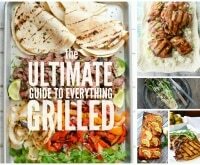 Check out our ultimate guide to everything grilled, plus 10 tricks for $2 marinades. And we bet you didn’t know you could grill these 5 items — let alone this amazing grilled apple crisp recipe! 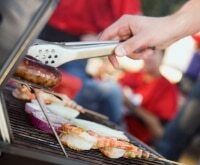 Number of burners for a gas grill: At least 2, but 3 or more work best for hot, medium, and warm zones. Burners should be made of stainless steel or be porcelain-coated to resist rusting. Look for decent workmanship and durability. Look for cast aluminum, cast iron, enamel-bonded steel, and stainless steel in the grill body. Keep in mind that quality stainless steel and aluminum will not rust, but will discolor with use and age. If you grill steaks often, look for a charcoal grill or a gas grill with an infrared burner. The further the distance between the grates and burners, the fewer flare-ups will occur. Grates should have rungs that are about 1/4 inch wide for easy cleaning, but not wide enough so food easily falls through. Do the knuckle test: Grip the handle of the grill’s lid to see whether your knuckles touch the lid. A hot lid can burn your skin, so make sure the handle is large enough so your knuckles aren’t hitting the lid when it’s time to pull the cover off. 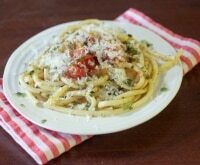 Allow about 100 square inches (10×10 inches) per person. How many people will you be cooking for on a regular basis? Keep in mind parties and family gatherings. 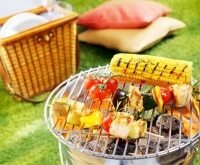 Measure the area you plan to put the grill, and keep the grill’s footprint in mind when shopping. The more options, the pricier the grill. Most electric grills are under $200. Good charcoal grills run $100-$300. A really nice gas grill runs from $200-$400, and increases in price from there. A quality grill doesn’t necessarily increase with price. Some $1,000 grills don’t out-perform some $400 grills. It’s always a good idea to do some research and purchase a good quality grill that will last. To ensure you’re getting a good deal, check the “ratings and reviews” section on major websites. Read what other users think of the grill, the price, and the customer service. Reviews usually give good insight, not just into the initial purchase price, but into the entire user experience. Are other customers happy with their purchase now that it’s assembled and being used in their own backyards? Products with low reviews should be carefully considered, especially if dozens or hundreds of reviewers are unhappy with a certain model. However, you may be surprised to discover lower-priced models perform surprisingly well in the ratings and reviews section. Pay attention to this section before buying online, or read several companies online reviews before hitting the stores to shop. You’ll have a much deeper understanding of what you want, and what you need to ask about before pulling out your wallet! And, as always, look for coupons! 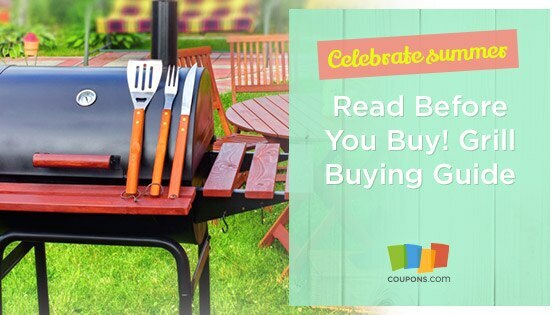 Check for online and in-store coupons from Home Depot, Cabela’s, Lowe’s, Sears, and more! Convenience is a major plus with a gas grill. You don’t have to buy charcoal, there’s no need for stinky lighter fluid, no watching over the coals for an undetermined amount of time, nor disposal of messy used charcoal briquettes. Just fire-up the grill with the flick of a switch, wait a few minutes for it to reach the desired temp, and you’re good to go. The major con with gas grills is that most don’t reach the high temps that a charcoal grill does. To properly cook a steak, you’ll need to pay extra money for sear burners or infrared burners. However, you don’t need these extra burners for chicken, fish, and veggies. Rust proof. Stainless or brass burners so they won’t burn out or rust. Sturdy build. 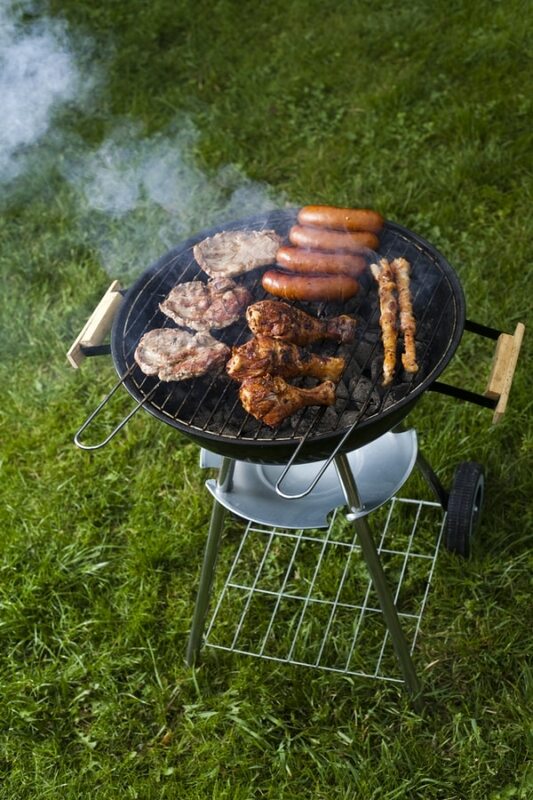 Make sure the grill is sturdy, and push on it from several angles to check for stability. Check the size. When looking at size, take into account the square inches of the main grate, or primary cooking surface, not including the warming rack. Don’t forget the warranty. You’ll want a five to ten year warranty on the burners. 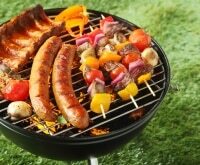 Charcoal grills generate more heat, and some die-hard grill fans even prefer the taste of charcoal. If you don’t mind the extra set-up and clean-up time and prefer the flavor of charcoal, then your choice is probabbly a no-brainer. Must haves. Tight lids and dampers that can be opened and closed for heat control. Assembly instructions. Some charcoal grills can be tricky to put together! Make sure the building manual is clear and easy to understand. Size. Four-burner grills may seem great for future parties, but they take longer to heat. Instead of buying big, purchase the size of grill you’ll use on a regular basis. Look for convenience. With charcoal grills, price rarely affects performance. Instead, look for convenience factors like adjustable coal beds, side tables, extra burners, and locking wheels. Great for indoor cooking, electric grills are perfect for small areas. You’ll get that gorgeous grilled look on your meat, but keep in mind you won’t get the same flavor as you will over a bed of flames. To counteract this in your cooking, try adding a half-teaspoon of liquid smoke to your marinade. 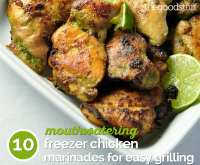 You’ll get a little more of that smoky flavor, but will still be able to grill inside! Electric grills aren’t for everyone. But, if you live in an apartment, an electric grill may be the only choice for a small balcony. Though small, they’re powerful! 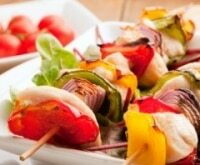 Electric grills heat up extremely quickly, so they’re super convenient, and don’t require much space. Here are a few things to consider if you’ve decided to go electric. Mind the wattage. Look for a grill that’s at least 1000-1500 watts. 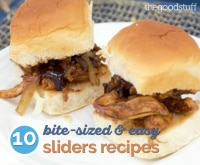 Anything less and you won’t get those grill marks on your meat. Check the spacing. The spacing between your grill lines matters! 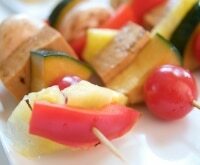 Look for ridges that cover the entire span of the grill, and are closely spaced together. You’ll get much more even cooking from your food. Size and storage. Since electric grills are usually used on a countertop or small balcony, then tucked away in cupboards until the next time you need them, be sure to buy a grill that fits in your kitchen. Preparation tip. The most messy part of an electric grill is the drip pan. Make sure your model has a large enough drip pan to catch melted fats. 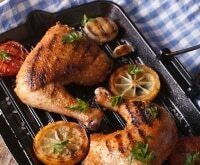 When using, try setting your grill on a large piece of aluminum foil for extra-quick cleanup.